I am a firm believer in supporting small business, local business, and female owned businesses. Big business may have more buying power and lower prices, but in many cases they have lost sight of how to treat people (employees and customers alike). When I spend my money with a small, local, and/or female owned business, I feel good about my money going to help people, rather than padding the bottom line. October is National Women's Small Business Month. It's a time to celebrate the contributions of women to the workforce. These are women who are helping their own household economies as well as the national economy in different ways. Despite having a very traditional view of jobs and roles growing up, I have really come to admire the many women who own and lead businesses. I contacted a number of my female friends and fellow bloggers to ask about their experiences with owning their own businesses. Some of these women own their own Etsy stores, while others manage sales through a direct sales company. Whether they are CEO/COO extraordinaire or looking for a way to bring in some extra household income by facilitating your purchase from a larger organization, these women work hard to run their businesses and I think they deserve a moment in the spotlight. These home-based businesses market a large variety of goods and services. If you are looking to support women in small business, check them out! For what it's worth, I am not receiving outside compensation for this post. I am writing it because I thought it would be an interesting spotlight on these women who, for the most part, run these businesses on the side, from home, and in a few cases, in addition to full-time jobs outside the home. People are working hard to live healthy lives these days. Fitness and exercise are popular past times. More and more consumers are paying close attention to what they put into their bodies and what cleaning products they use in their homes. Wildtree offers high quality herbs, spices, and culinary blends with the intent to make cooking safer and easier, especially for families dealing with food allergies. My friend Tara started with Wildtree because two out of her five children have food allergies. She says, "They also do all the meal planning for me and make buying seasoning/sauce bundles super easy." Lydia is a distributor for Simply Aroma Essential Oils. She provides therapeutic-grade essential oils that can be used for a variety of purposes including: cleaning, improving focus and attention, bug repellent, and more. Not only do the oils smell good, but they can improve your health and mood in a safe way. I can tell from my interactions with Lydia that she really loves Simply Aroma and she believes in their mission. Arbonne uses botanically based ingredients to create skincare products that are good for you and kind to the earth. From cosmetics, to fragrances, nutrition and skincare, they offer a wide variety of healthy products. You can visit Kaylley's Facebook page or Cassie's website to learn more about what they offer. Niccole, also a mom to five, got involved with It Works! because she wanted to lose weight and live a healthier life. Her products are labelled GMO free and organically grown. If you are interested in nutritional supplements that contain high quality ingredients, check out her page. Years ago people made their own clothing and fashion items. Then those items started to be outsourced through factories and clothing retailers. Now there is a trend back to making and/or upcycling more personal designs again. Jennifer got her love of sewing from her mom and then became much more serious about it after the birth of her second child. "I started refashioning thrift store clothes to fit my post-pregnancy body." She now creates unique game-day clothing for the whole family as well as everyday wear that is casual and comfortable. Check out her Etsy site for her selection. Looking to make a statement with what you wear? Then try a graphic tee from Ellen's Etsy store. Her love of fashion led her to designing her own products. She creates cute shirts with catchy slogans that will help you make a statement while you're out and about! It's not just your clothing that helps you express yourself, you can also accessorize to make yourself unique. Maybe you'd like to have a cute manicure you can do quickly and easily in the privacy of your own home. Jamberry offers a wide variety of nail wraps and nail care products that look great whatever your style. Julie is my Jamberry consultant, best friend, and the one with the idea for this post! If you haven't tried Jamberry, check out Julie's page and get in on a party. Additionally, you could try GelMoment nails. These gel polishes are vegan, solvent-­free, 5­-free, lead­free, odorless, and not tested on animals. They come in 26 colors and are cured with LED lights to make them strong and long lasting. You can use them to paint lots of fun designs on your nails. If you like jewelry, try Premier. Heather sells fun, fashionable jewelry through Premier. My favorite part is the wide variety of ways you can wear each piece. Many of the necklaces come with removable pieces than can be work alone or in different combinations to create endless looks! Paparazzi is another source for nice jewelry. Each of their pieces are available for $5. Jennifer started selling Paparazzi in order to help jump start her adoption fund. You can learn more at her website. Last, but not least, Mandi can help you dress up your hair! Lilla Rose sells a wide variety of beaded headbands and hair clips for all hair styles. Designs range from cute holiday designs to classic patterns that are always in style. I support #women in #business! There are many women who enjoy being creative and making things at home to sell online. 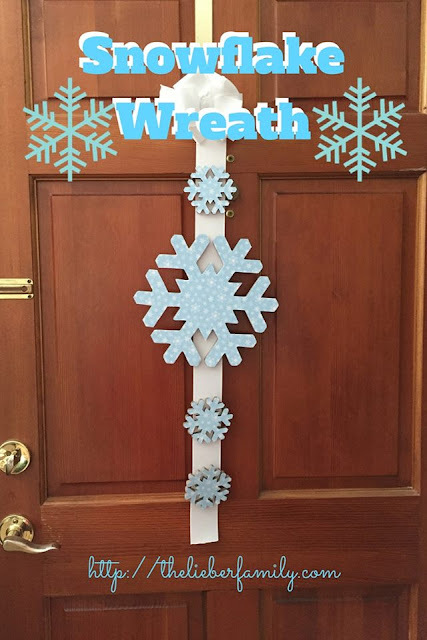 Crafting can be a great way to relieve stress and bring in extra income! Annie knits and sews handmade scarves and prayer items. Her rosary roses are an adorable and brilliant way to help kids stay focused while praying the rosary. Annie is offering my readers a 10% discount on any order placed though October 21st, 2015. Use the code Lieber10 when you place your order. When Allison couldn't find the exact rosary she wanted, she decided to make one herself and a business was born! Her Etsy shop features beautiful, handmade rosaries and chaplets. You should definitely check her out! If you enjoy sewing and quilted items, you'll want to take a look at Jen's website. She designs amazing quilt patterns for all seasons, secular and liturgical. You can find both patterns as well as completed designs there. Some people use their creative powers for home decor projects or have a special gift for organization. If you have talents or needs in those areas, check out these women! Rakhi creates hand-lettered prints and jewelry, along with photography projects and other home decor. She enjoys the encouragement she gets from other artists and says the support of her husband is crucial in her endeavors. While looking for an unconventional way to support her blog, Martina decided to create downloadable PDF files. If you need printables for household management, home school, blogging, or Catholic liturgical life, you really need to see what she has available. What if none of these categories fit your talents and resources? There are lots of ways to make money from home. Kate works in a variety of ways to help provide for her household. She's a third party seller on Amazon, as well as selling items on eBay, Craigslist, Krrb, and more. While her methods aren't necessarily replicable to most people, she does offer some good advice. "It's important to network, not be a sales-focused networker, but an honest networker who is interested in getting to know people and maintaining relationships." She goes on to say, "It's important to have a business plan...Get your tax forms in order and consider expert advice." She recommends checking out entrepreneurial courses online if you need background information on business. I know this is a lot of information. I'm hoping you have found it to be useful to you, whether you are looking for some ideas for your own small business or you are hoping to find more small businesswomen to support. As a woman, I think it's important to support other women who are working hard to help support a household. 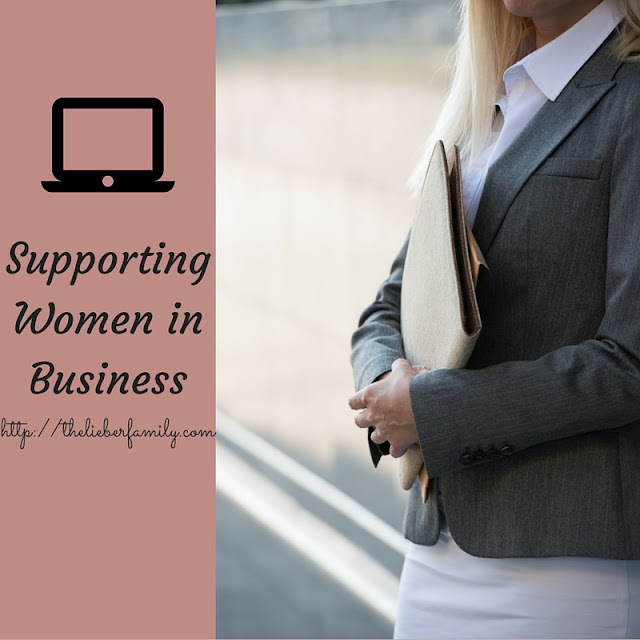 How do you support women in business?